Sometimes it’s hard to know whether you have a sterling silver or plated item. If you have antique jewelry, flatware, hollowware, hallmarks, etc. that you have no use for, you should strongly consider selling them to an expert antique buyer in Sarasota, Tampa or St. Petersburg. Whether or not you’re interested in selling the item, the more you know about its worth, the better. Do your research so you have a better idea for its value in the event you ever do choose to sell it. Also, definitely do not write something off as having no value just because it isn’t something you consider attractive or useful. If it’s a vintage piece it’s valuable to someone— even if the only thing it’s doing for you is collecting dust! If it’s sterling silver it will almost always have a stamp labeling it so, or the number “925.” If it has either of these markings it’s an American antique. If your piece has neither, it’s most likely plated. If it has markings of “EP,” “EPNS,” or no markings at all, it’s also likely to be plated. But you should still have it tested by our expert antique dealers in Sarasota, Tampa, and St. Petersburg just to be sure. Sterling is much more expensive, as it’s composed of 92% pure silver. Most European silver is hallmarked—meaning it has a hammer and punch stamp identifying its manufacturer/origin. If it turns acid into a reddish/brown color, it’s not pure. Sterling can, and usually does, last forever. Silver-plated pieces can last approximately 20 years if cared for properly. The only way to know the true market value of your antiques, and to determine their worth, is to bring them to an antique buyer in Sarasota, St. Petersburg or Tampa. We offer free verbal evaluations. You just need to email us photos (in natural lighting) with descriptions of each piece. 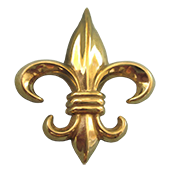 We also buy and sell gold jewelry, paintings, porcelain, Asian art and antiques, bronzes, etc. For more information about selling your sterling silver you can contact us using the form on our site. If you possess antique silver items as shown in the above image and you are willing to sell them, you may call us at 9413731234. 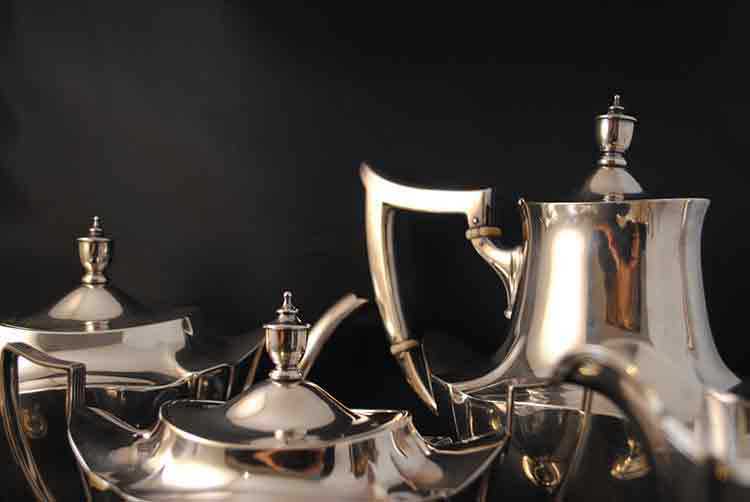 How Much Is Your Sterling Silver Tea Set Worth?